Some employers do not allow employees to refinance 401(k) loans. 1. What Is a Savings Secured Loan? 3. Is a 401(k) Loan Reportable on Your IRS Income Taxes? Under federal tax laws, you can refinance a 401(k) loan. Both 401(k) loans and refinance loans are subject to strict rules. The option to take a 401(k) refinance loan depends on your employer's retirement plan -- it may or may not be available. However, if 401(k) refinance loans are not included in your employer's plan, you may still have the option of paying off your existing loan with cash from your retirement account. 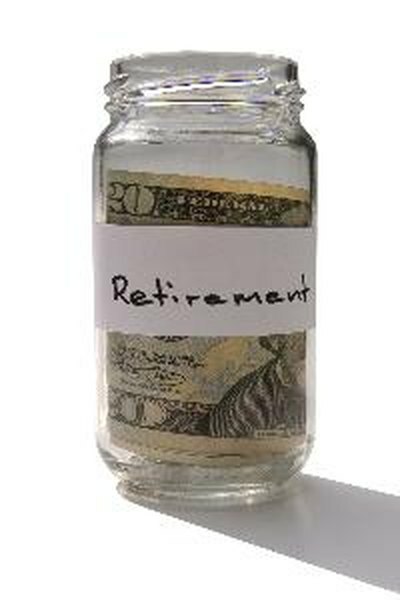 The Internal Revenue Service allows but does not require employers to include loan provisions in 401(k) plans and other types of retirement arrangements. When you take out one of these loans, you only have access to vested funds -- that is, the sums of money in the account that actually belong to you. The money you deposit into the account through payroll deductions belongs to you and is immediately vested. Your employer's contributions become vested over the course of three- or five-year vesting schedules. Account earnings are not subject to vesting schedules, meaning that these sums of money are also accessible. As of 2012, you can borrow up to $50,000, or 50 percent of your vested balance from your 401(k) -- whichever is less. Although you can refinance a 401(k) loan, very few employers allow you to do so. If your plan does not allow for refinance loans, you can take out an additional loan if you have not already maxed out the amount you can borrow. In other words, you can borrow the money in the form of one loan or several. For example, if you took out a $20,000 401(k) loan a year ago, you could take out a new $20,000 loan and use the proceeds to pay off the existing debt. Because a standard 401(k) loan term cannot exceed five years, you cannot drastically reduce your current loan payment by refinancing the debt and lengthening the loan term. However, 401(k) loans are often indexed to the prime rate. If this pricing index drops, you could potentially save interest if you refinance your loan or pay it off by taking out a second, lower rate loan. Some firms charge processing fees on retirement plan loans and these costs may offset some of your savings. However, 401(k) loan closing costs are negligible when compared with fees on other types of collateral-secured loans, because there are no appraisals or vendor fees to contend with. When you refinance your 401(k) loan, you lengthen your time frame for repaying the debt. In the short term, this makes financial sense if you lower your borrowing costs. Additionally, both your principal and interest payments are deposited into your 401(k) account. However, if you leave your job, you must immediately repay the loan in full. If you fail to do so, the IRS recharacterizes the loan as a distribution. You have to pay income tax on the entire amount and a 10 percent tax penalty if you have yet to reach the age of 59 ½.